This fun maths worksheet gets kids to solve a tricky riddle while they practise addition and subtraction. Find out why lobsters don't share with this worksheet. Become a master of analysis! 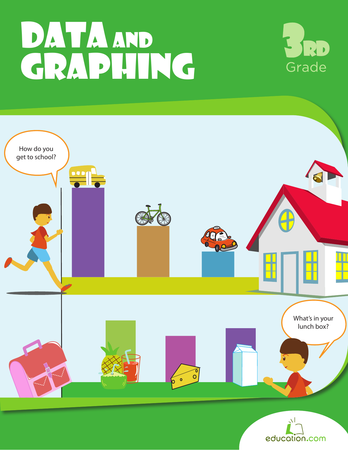 In this series, kids practise collecting, creating and plotting data on graphs. Then they'll practise reading graphs, making predictions, and comparing data. Practise spelling, maths, and critical thinking with this fun addition and subtraction worksheet. Solve maths problems to reveal answers to riddles. 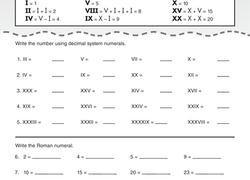 Introduce your third grader to Roman numerals with this worksheet that focuses on numbers under 50. When your fourth grader is ready to move on to multiple-digit addition and subtraction, these riddles will make review fun and challenging. 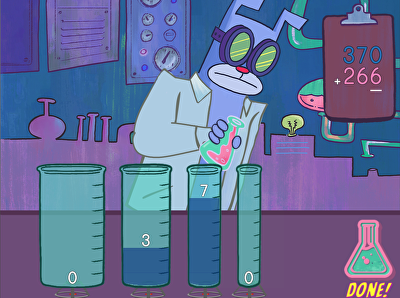 Use your addition and subtraction skills to find out the answer to a mystery riddle! This interdisciplinary worksheet helps kids build maths and spelling skills. In this year 4 maths worksheet, kids analyze and compare data in two pictographs in order to answer a set of word problems. Brain teasers, maths, and spelling practise are rolled into one fun worksheet. Solve addition and subtraction problems to find the riddle's answer. Challenge your child with this coded maths worksheet. It will give him practise finding the sum of four-digit whole numbers to break the secret code maths. This worksheet is buzzing with long addition problems, how fast can you add them? Have your fourth grader brush up on his addition with this maths sheet. 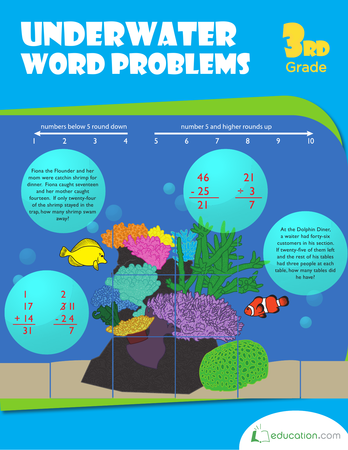 Addition and subtraction practise can get a little repetitive, so mix it up with this funny under the sea worksheet. Make multiplication a snap with this hands-on maths lesson! Your students will learn how to easily multiply large numbers using base-ten blocks and the strategy of breaking apart by place value. 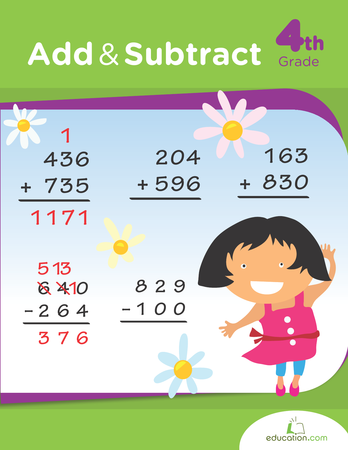 Help your child practise adding four-digit and three-digit numbers! This Easter-themed maths worksheet is more interesting than your average printable. What is a maths teacher's favorite dessert? 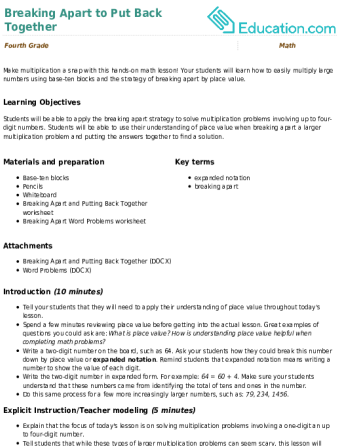 Pi! Find more funny riddles by doing this worksheet--a perfect combination of maths practise and brain teasers. Why is 2+2=5 like your left foot? ...Itâs not right! Find more riddles with this awesome worksheetâa perfect combination of maths practise and brain teasers. Solve the Riddle with Addition! See if you get stumped with this maths riddle! This great worksheet is full of addition problems for your student to practise.